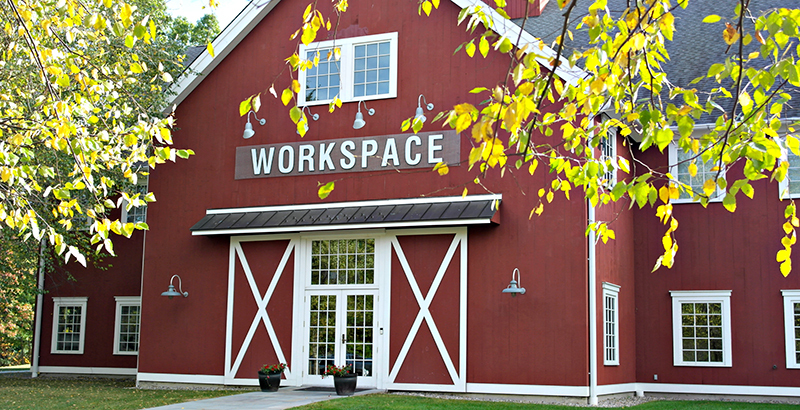 When I arrived at Workspace Education in Bethel, Connecticut, founder and executive director Cath Fraise said she needed to go get her class started. She was back in five minutes and then spent the next hour with me. The students, she said, didn’t need much from her. They knew what they were supposed to be working on and had access to the resources they needed. As we toured the beautifully renovated barn, I saw a number of spaces that looked a lot like Google’s offices, but nothing that looked like a traditional classroom. In addition to the increasingly predictable “makerspace,” they have a lunchroom/library, a performance theater and DJ room, a sewing and craft room, a science lab, a virtual reality room, a working wood shop, small tutoring spaces, workspaces for parents and teachers, a beanbag-filled viewing room for watching video-based instruction and movies, and many other multi-use spaces. Kids were coming and going throughout the day. I saw a band practicing, two students working together with two adults in the lab doing a science experiment, kids working independently online, a martial arts class, and a group of four students and an adult working on a humanities project. I was here because a friend had recommended I go see what he called the “WeWork of education” — a space for students to learn, but not a school. Workspace opened a little more than a year ago, at first serving a small number of homeschool families but now serving more than 70 students (spanning K-12 age ranges), at least half of whom came from public schools. Families purchase a membership at Workspace (just under $5,000 per student per year and $1,000 for each additional child). The membership buys them access to the learning spaces, community events like dances and musicals (social opportunities homeschool families can’t otherwise get), and access to a trove of curricula, assessments, a Dream Director who helps students plan and develop their ideas and helps them manage social and emotional dynamics, a curriculum specialist who helps families sort through the array of options available and manage and prepare their college transcripts, and a technology wizard. More than 80 classes are offered and taught, mostly by parents and for an additional fee. Some professional teachers are brought in for specialized, high-demand classes. Each student has an individualized schedule, which may be a mix of online courses, independent projects, tutoring, internships, and other activities designed to meet the student’s learning needs, goals, and interests. Cath Fraise wanted to create a place where students could be themselves and experience school in positive ways, and where learning would be designed to help them develop their strengths and turn their ideas into reality. Cath describes herself as someone who feels a sense of urgency and isn’t afraid to take a big bite at solutions, and that is evident in how she has realized her vision. A little more than a year since opening its doors, Workspace is already expanding rapidly on its 5-plus-acre campus. Two microschools will allow students to focus either on a four-year STEM program developed and overseen by a Yale Ph.D. in geobiology or a humanities program inspired by top liberal arts colleges in the Northeast. Families can participate in Acton Academy, a program designed to support self-directed learning and entrepreneurship through game-based learning, apprenticeships, Socratic discussions, and projects. There is a program run by Post University professors who offer introductory college courses at Workspace and online, allowing students to earn dual credits and their associate degree. There is a study abroad program and a program to help students identify possible career and learning paths based on their interests. Workspace will soon host a national conference for students in alternative learning environments. And there are plans to start serving ages 0-5. All this is in just its first year of operation. I’ve been thinking about Workspace since I left and wondering what to make of it. It’s definitely different and meeting a need. Some families drive an hour to be there, and I can understand why. I know what it’s like to be desperate for alternatives. When my son had been in three different schools in two years and was still hiding under his desk all day, I seriously considered homeschooling him. But the downsides for him (and for me) seemed too significant. I can easily imagine, at that time, driving an hour to a place like Workspace where I could get guidance on online coursework, tutors, and help with course assessments and transcripts. I love the idea that I’d get access to a wide variety of curated learning options. My son could have participated in small, interesting in-person classes and had opportunities to socialize. And I could have had an office space and still managed to work part time. In rural Connecticut, where schools are not always strong, I can imagine watching my child’s creativity and eagerness for learning being washed away in schools that are still struggling to provide even a basic education. Workspace appeals for so many reasons. At the same time, I know from my experience in a cooperative kindergarten that parent-run classes can bring real challenges. Some parents might be great teachers; others not. The significant time commitment might be impossible for a low-income family. The seemingly endless community meetings to resolve issues can drive someone like me mad. There also can be real challenges for students, especially those with special needs. Parents always put their own child first, as they should, but they often can’t set that natural instinct aside when they are teaching or moderating social dynamics. This can be annoying when parents refuse to acknowledge their own kid’s issues. And there can be serious problems when parents are not trained to deal with other people’s kids’ issues. My son could be oppositional and agitated. At our co-op, parents would try to step in and deal with him in totally ineffective ways and, largely out of ignorance, feared his difference and worried about their child around him. In that long school year, we were constantly writing letters to the whole school community to ask for parents’ understanding, cooperation, and forgiveness. It became untenable, and we had to leave. We were relieved to end up in a neighborhood school with mostly immigrant families who didn’t seem bothered by my son’s differences and professional staff who knew how to work with him. There are no supports at Workspace for students with special needs, and they placed a limit on how many students with disabilities can participate after word got out that it was a good place for students with learning differences. As with any cooperative educational endeavor, there have been some difficult student and adult social dynamics. Most were resolved, but one family was asked to leave. There are surely other downsides. That said, I know there are families and students who thrive in community-run settings, and Workspace certainly takes away most of the negatives of homeschooling. There is also an ever-growing set of options at Workspace, including programs run by trained teachers, and there’s no reason that someone couldn’t start another specialized program that better serves students with disabilities, working families, or those with other needs. What I find really interesting is that what Cath Fraise has mostly done is create new possibilities for the positive. Each student is viewed as having unique assets to be developed via radically individualized pathways. Workspace is curating a wide portfolio of learning options, drawing from the local and international community, from online and open-source resources. 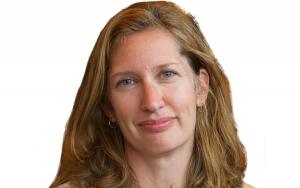 In a world where what kids are expected to know has exploded, Cath says, it no longer makes sense to constrain learning to a finite set of offerings. Students need to be smart consumers of knowledge and able creators. Workspace is providing a way to match those resources and solutions to maximize each of its students’ futures. At the very least, visiting this school got my wheels turning. We’ve always said at CRPE that we need to move from school systems to systems of schools. Workspace challenged me to think about what it would mean to design a system of learning.